DON’T Put This In Your Compost! Q. What should you add to a compost pile? A. Any plant material that was once growing including: weeds, kitchen waste, dry grass clippings, leaves, etc. Q. What shouldn’t you add to a compost pile? A. Fats, meats, dairy or bakery products. Do put coffee and tea grounds,eggs shells,vegtable scraps,dead garden plants,pine straw,broken up sticks,dirt. Do not add meat scraps,dog or cat poo,oil or shortning. Great list you have there. In addition to dog or cat poo, I might add that you should not use the poo of any meat-eating animal. Also, dirt is not necessary to add to compost – it has weed seeds in it (which may not be killed if the compost pile doesn’t heat up high enough) and it will also interfere with the decomposition of the other organic materials. You siad not to add poo from ay meat-eating animal. How aboutpoo from free range ducks or chickens? That poses a good question and at first I thought this might be the one to bend the rule. As I think about it, they are meat-eating animals as part of their diet. I think the majority of their diet would be plant life. Although they do eat insects, and I guess we would consider insects to be meat/animals. We certainly do use a lot of chicken manure, and I have used duck manure also in the past. Without doing any more checking, which I will do, I would say “yes” to both of those as long as they’re just one ingredient and you have many many more in your compost. I might have you contact your local agricultural agent and ask them the same question because they’re more versed in formal education and knowledge about the dangers of any pathogens in meat-eating animal manure. I’m sure someone at some university has done studies on all of this material and your county ag agent would be the best person to be able to find that information. Would you do that for me and get back to us so we can share that with everyone else? Sorry I can’t have a definitive answer for you. I heard it’s good to get your compost “tippsy”. Composting is thirsty work. One beer for me, one for the c-pile…… I better hop to it! Sorry, I couldn’t pass up a good pun! Cheers! Some good thoughts there. But I think what you’re hinting at, and this is a very good point, is that a compost pile should always be moist. Otherwise, when it dries out, it will stop decomposing and loose heat. Now I’m not sure if I would waste a good brew on my compost pile but I appreciate your direction and thanks for the idea! I’ve heard we shoul’d put lemons and oranges because they are to acid, is it true. Is mushrooms ok for the compost ? 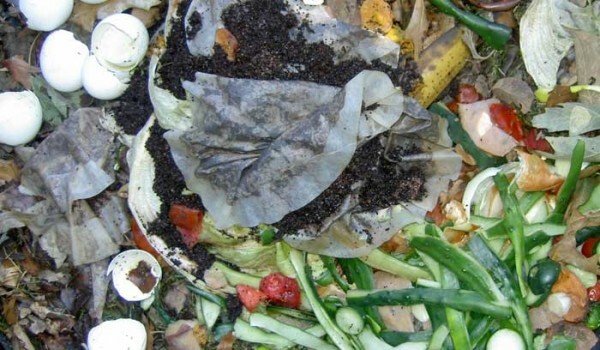 One of the basic rules of SFG composting, is don’t add too much of any one thing. I think the All New SFG book quotes something like 10%. That should even been adjusted down when you get any kind of material that might be too acid or alkaline or dusty or thick and coarse. Even those should be chopped up small so they would decompose quicker. The same would be true of mushrooms. If you follow those guidelines, everything will decompose properly and you will have a finished product made by mother nature herself that will be close to neutral in acidity and alkalinity…commonly known as the pH scale. Rather than having to buy a pH test kit and do all of that sort of testing, which never seems to turn out the same in results…even if you do 3 in a row. We don’t worry about in that SFG gardening and that saves you a lot of time, money and frustration. Instead we say put as many different materials possible, don’t put too much of any one thing. Chop it up small and turn and mix at least weekly and don’t forget…keep it moist. You might compare that with a recommended diet or type of food eaten. I love orange juice and fresh grapefruit, I’ve been cautioned that those are good for a diet but not too much at any one time. A compost pile is not different from our digestive system. I hope that helps answer your question.